Thank you for your interest in Graphic Giraffe. If you are looking for beautiful, original, quality design work at an affordable price you have come to the right place. From brides to businesses, letterpress to logos – whatever your needs, we can help. We have a simple mission – to make stuff look good! And that’s exactly what Graphic Giraffe does. Whether you know exactly what you are looking for, or are in need of some creative direction, Graphic Giraffe offers individual service and custom design work. 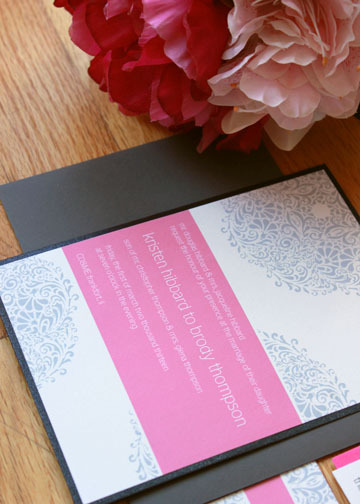 Brides to be, browse through some of our pre-designed wedding invitations here, or feel free to contact us with questions or a design idea! We would be happy to provide you with a quote. If you are looking for other design services, check out Graphic Giraffe’s portfolio to see samples of past design work. Contact us for information or to discuss your project, or for a quote. Thank you for visiting Graphic Giraffe’s website. We look forward to working with you!